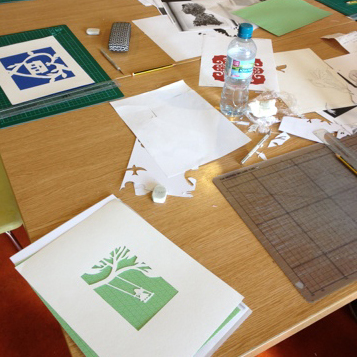 After a week off last week, I was back in work on Saturday to do an adult Paper cutting workshop. There were a few people I knew on the course and so this made me a little more nervous, but once I got into it, I think it went pretty well! The picture below was one of my samples, a woodland theme of course with an owl! - of course. Everyone came away with at least one cut and some even managed a few to take home, with ideas of how to frame it and what tools they would need to use to carry on. 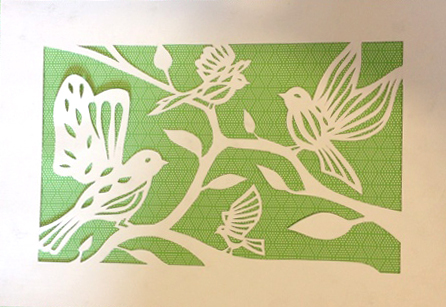 Most of the difficulty with paper cutting is knowing which part to cut out, whether you want to leave the negative or positive part. Depending on your picture and what you want to achieve, will of course depend on whether you want to leave the space around and between the image (negative space) like above, or take away the image (positive space) like you would do to do text perhaps, so that it doesn't have to link together. 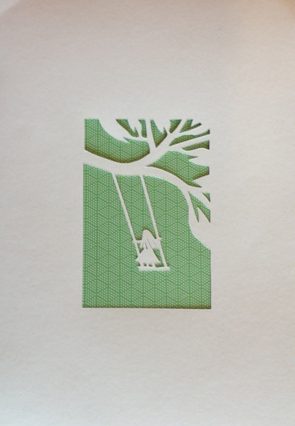 Some of the paper cuts were traced from pictures I had taken from books or the Internet, whilst others made their own designs or modified the pictures I had given them. All in all though, they all did very well and no cuts to fingers or anything. Good result. 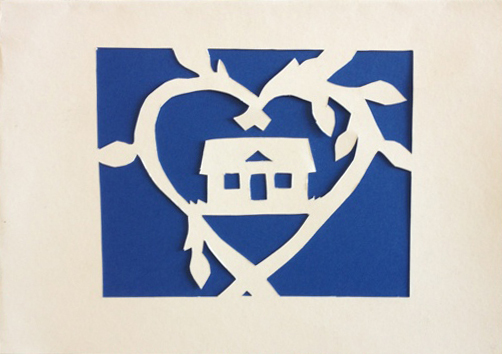 What I love about paper cutting is that it's so simple to do but can look so effective for only an hour or so's effort. Some of the participants were saying they were going to give them as presents or have a go at more complicated designs as they now had the confidence to go for it, which is great feedback to have. If you fancy having a go, all you will need is a cutting mat, scalpel or craft knife, card (I went with thin card, about 150-180 gsm, but some people prefer paper), a design and tracing paper or draw your own, pencil and a rubber. All quite easy things to get and not too expensive to buy aswell which is always nice. Use one side of your paper to do all your sketching etc and then you can flip it over to reveal your cut, then you don't have to worry about pencil lines. Just remember that you will need to draw the picture as a mirror image to get it the right way around when you flip it over. You can also take a class if you like, one my friends is doing a paper cutting workshop in London at Tea and Crafting in Camden on the 22nd October if you are around the area and fancy having a go. 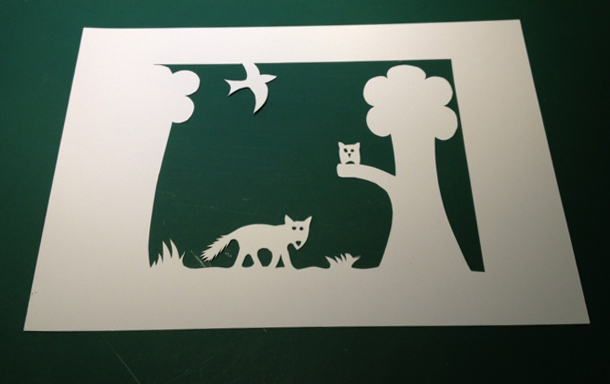 Or I am sure there are plenty of places to have a go, no other paper cutting workshops planned again at The Lightbox, but look out for other adult workshops to have a go at in the near future. Of course for the more textile fans out there, there are also our workshops at Norden Farm in Maidenhead, check out the post here for further info. I might make some Christmas cards if I get around to it. You should definitely give it a go for Christmas cards. I did some tree and snowman designs like that a few years ago, they look so great and effective. Aww thanks Kimberley. You should definitely give it a go! thanks Becca. Rob ryan is amazing, have you ever been to his store in London, I have much envy for everything in it! A handmade friend will look amazing next to it.